I finally finished this beautiful pair of mittens last weekend and this week got to learn the semi-stressful process of felting. The finished mittens were about 16 inches long. I sent them through 2 full cycles of a hot water wash and then the dryer. I read and read and read the how-to’s of felting and all the articles ended with “Felting is irreversible, there is no way possible to undo the shrinkage.” Yikes! Pressure was on to make theses mittens wearable and functional with the goal of NOT making baby mittens! These mittens turned out great! They are thick and warm, perfect with a pair of liner gloves underneath. I had a 20-hour ferry ride to tear out the wrong mitten and restart. I actually made one complete mitten during the entire moose hunt and subsequent ferry rides. I took a bit longer to knock out the second one, but as I said before they knit up pretty fast. 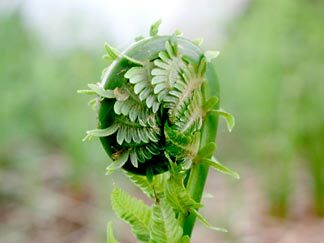 Fiddlehead ferns are a hardy plant that grows well in Southeast, the pattern was a fun one to see evolve. 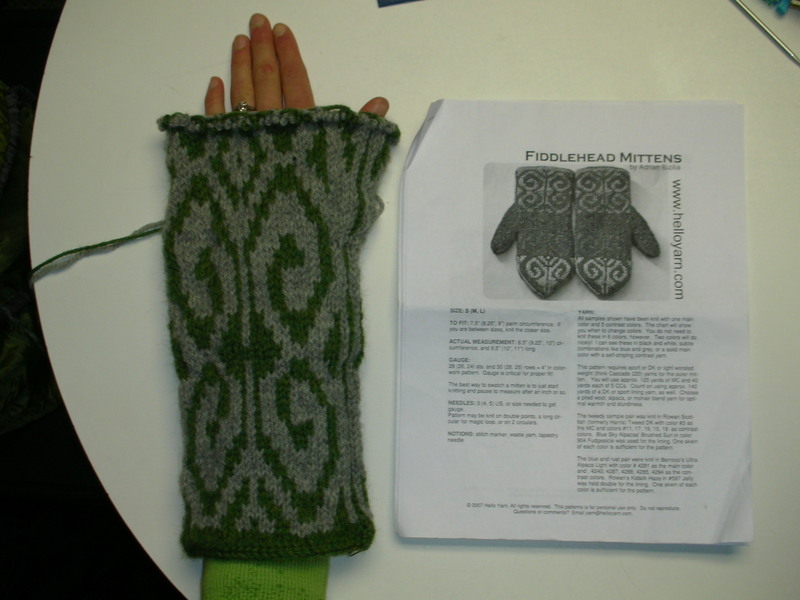 Ravelry has the complete pattern: Fiddlehead Mittens by Adrian Bizilia. Many people have made these mittens in a huge variety of colors. It was an easy pattern to follow, just remember only to knit each round ONCE!